An urgent announcement has been made by Squid Research Lab! 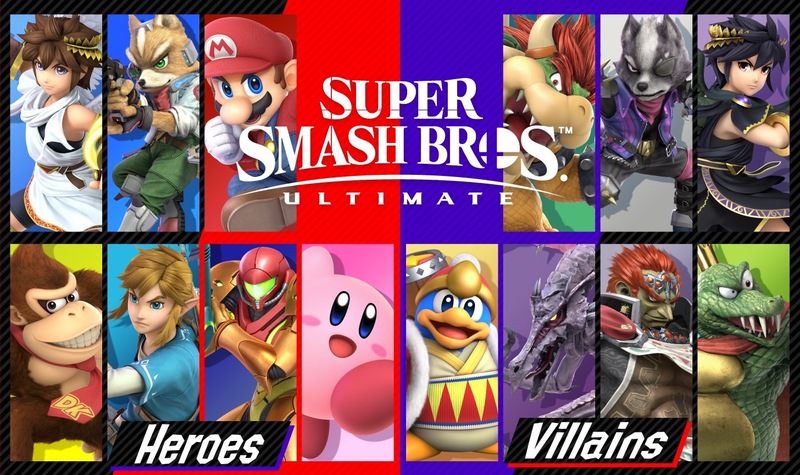 A special Heroes vs Villains Splatfest will be taking place next week to help promote the launch of Super Smash Bros Ultimate. Get the details below. To commemorate the debut of the Inkling as a fighter in Super Smash Bros. Ultimate, a collaboration Splatfest is on the way! This time, the theme is simple, which side do you stand on: Team Heroes or Team Villains? Do you fight for justice and peace no matter the cost? Or do you stand with the misunderstood miscreants? Once this Splatfest is finished, please pick up your Super Sea Snails by the afternoon of Dec. 20th. The Inkopolis News announcement for Frosty Fest will begin on Friday, Dec. 21st, so don’t miss out! Tags: #Splatfest, #Splatoon, news, Nintendo Switch, Nintendo Switch Online, Smash Bros, Splatoon, Super Smash Bros Ultimate, Super Smash Bros.
Categorised in: #Splatoon, News, Nintendo, Nintendo Switch, Nintendo Switch Online, Splatoon, Splatoon 2, Super Smash Bros Ultimate, Super Smash Bros.